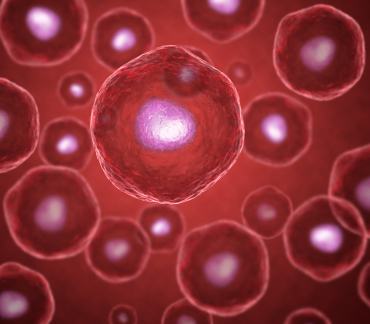 Every cell has a cell membrane — it’s the outer layer that holds the cell together and does so much more! The fatty acid composition of your cell membranes is a reflection of the foods you eat and dietary supplements you take. The fatty acid composition of your cell membranes is also related to your inflammatory response. What Do Cell Membranes “Do”? Cell membranes let nutrients into the cells and waste products pass out of the cells. Cell membranes provide a protective barrier for cells — they don’t let everything in, especially large particles. Cell membranes are important in the communication between cells. Cell membranes are reservoirs for fatty acids. Cell membranes release fatty acids when the body needs it, such as for growth or dealing with an injury. “You are what you eat” applies on the cellular level — to cell membranes. If you eat a diet with a lot of red meat, high fat dairy products (high in Omega-6’s), processed foods (high in Omega-6’s and possibly trans fats), and not much fish, fruit, vegetables and whole grains, nuts, seeds (high in Omega-3’s), your cell membranes will be largely composed of unhealthy fatty acids (arachidonic fatty acids, a non-essential Omega-6 from animal products, as well as trans fatty acids found in many processed foods) from those foods. This will lead to less flexible and less permeable cell membranes that have reduced ability to transport nutrients into your cells and to rid the cells of wastes. The cells will also have impaired ability to communicate with one another. In contrast, if you eat a lot of vegetables, fruit, nuts, seeds, whole grains, low fat dairy, fish (and/or take supplements with fatty acids from fish containing Omega-3’s) and not much processed foods, meat or high fat dairy, your cell membranes will be largely composed of healthy fatty acids from these foods. This will lead to more flexible and more permeable cell membranes that have increased ability to transport nutrients into your cells and to rid the cells of wastes. The cells will also have improved ability to communicate with one another. How is This Related to Inflammation? When your body experiences an insult, (physical, stress, allergy, infection, etc. ), your cells release the fatty acids stored in your cell membranes. Cell membranes containing a large proportion of fatty acids from a high meat, high fat dairy and processed foods diet will release pro-inflammatory fatty acids. However, cell membranes containing a large proportion of fatty acids from a diet high in fish, fruit, vegetables, whole grains, nuts, and seeds will act in an anti-inflammatory manner when released from cell membranes. Many medical doctors and scientists believe that inflammation is the root of many degenerative diseases such as arthritis, diabetes type 2, heart disease, obesity, Alzheimers, and certain pulmonary diseases, digestive disorders and cancers. You Can Modify the Composition of Your Cell Membranes! The good news is that you can change the composition of your cell membranes. Through the foods you eat and nutrition supplements you take, over time, you can improve the composition of your cell membranes so they contain more Omega-3’s and fewer Omega-6’s. According to scientific research, a positive change in the composition of the fatty acids in your cell membranes will also promote healthier inflammatory responses. Lower the amount of vegetable oils in your diet. If you need oil, use olive oil and limit corn, soy, safflower, or sunflower oils, or most vegetable oil blends. Eat other foods high in Omega-3’s such as flaxseed, chia seeds, and walnuts. 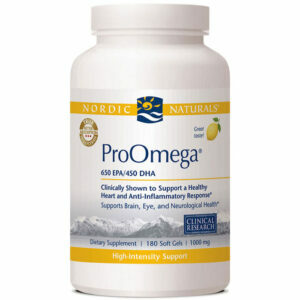 If needed, take a high quality dietary supplement with Omega-3’s every day. For women who may be getting pregnant, are pregnant or are nursing, it’s often recommended not to eat too much fish due to environmental concerns such as mercury. You can consult your physician regarding taking a high quality dietary supplement from fish that has been tested for purity. What About Trans Fatty Acids? When it comes to engineered trans fatty acids, the human body does not even know how to handle them! Trans fats were engineered and added to processed foods to increase their shelf life and/or increase the crispness of foods. Trans fats are often found in vegetable shortening, some margarines, snack foods, cookies and other processed foods made with hydrogenated or partially hydrogenated oils. Trans fats promote atherosclerosis, increase triglyceride and cholesterol levels and are associated with coronary disease. Good news! The FDA (US Food and Drug Administration) will now require the food industry to gradually phase out trans fats, because they are a threat to public health. Until that time, when purchasing packaged foods, read the nutrition label which will list the amount of trans fats per serving and try minimize consumption.